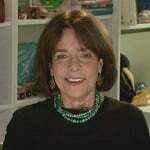 As president of Parents’ Choice Foundation, the nation’s oldest nonproﬁt guide to quality children’s media and toys, Claire has been determined to preserve and promote the organization’s 40-year reputation as a leading authority in, and advocate for, quality children’s media and toys. In commemoration of Parents’ Choice Foundation’s 30th anniversary, Claire co-founded the Sandbox Summit®, a series of conferences designed to explore how technology affects the ways kids play, learn, and connect. The inaugural Sandbox Summit® was held at the 2008 Consumer Electronics Show and drew a standing room only audience. From 2010 – 2014, Sandbox Summit was hosted by the Education Arcade and the Comparative Media Studies Department at MIT. Additionally, Claire serves on the selection committee for the National Toy Hall of Fame® at the Strong National Museum of Play®, as a member of the Toy of the Year (TOTY) nomination committee for the Toy Industry Association, as a judge for the KAPi (Kids @ Play Interactive) awards, the International Songwriting Competition (ISC) in the Children’s Music category, and for Fat Brain Toy Company’s Kidventor Award program. classroom to the playroom, toy and children’s media industry trends.